Will the Noise from CPAP Bother My Spouse? “My spouse already has sleep difficulties, Will my CPAP machine make the insomnia worse?” I reassure such patients that all the new models of CPAP devices are almost silent producing only 24 to 29 decibels. 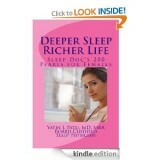 I further explain that most spouses find the soft, continuous, humming noise beneficial in helping them fall asleep, just like white noise would. Spouses have also shared with me that they sleep soundly knowing that CPAP is taking care of those dangerous episodes of cessation of respirations. They prefer this soft hum over stentorian snoring as the former represents continued breathing. If you find a device’s noise is bothersome, first check to make sure the CPAP’s air filter is clean and unblocked. If this doesn’t help, have your CPAP supplier check the device to ensure it’s working properly. Also make sure that the CPAP mask is fitting properly as a large air leak from an ill-fitting mask can exacerbate the noise. If the noise is still bothersome, try earplugs or a white noise sound machine to mask the noise. Go through above checklist diligently. 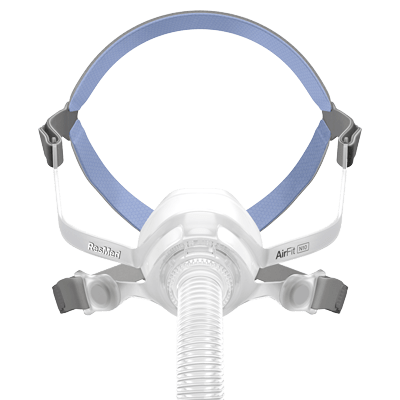 Please continue to use CPAP as untreated sleep apnea affects your quality of life besides increasing your risk of hypertension, cardiovascular diseases, stroke, and drowsy driving. Why do I Pull Off my CPAP Mask in Sleep? “Doc, I put the CPAP mask on every night, but wake up with the mask on the bed. I don’t remember pulling it off,” frustrated patients often share with me. In my experience, nasal obstruction is the commonest cause of such occurrences. Studies have indeed shown that avoiding allergen exposure, and using nasal steroid spray at bedtime help keep the nasal passages open. For such patients, we first do allergy skin testing followed by an intensive allergen avoidance education. We prescribe allergy medications like Zyrtec (Cetirizine) at bedtime along with fluticasone nasal spray to be used 2 sprays each nostril prior to putting the CPAP mask on. If you still suffer from nasal obstruction, adding singular (montelukast) tablet as a maintenance medicine can help. Allergy shots (injecting measured dosage of allergens in your skin on a weekly basis) can alleviate your allergy symptoms and the need for allergy medicines. Talk to your doctor about these interventions and follow them. Be patient and persistent. Put on the CPAP mask every night and ultimately, one day, you shall wake with the mask on your face as opposed to your bed! Do call us if we can be of any help. CPAP Mask is Irritating my Skin! I recently saw a young lady with red, irritated skin around the nose and mouth, where the CPAP (Continuous Pressure Airway Pressure) mask comes in contact with the face. Such irritation commonly occurs in patients with sensitive skin, environmental allergy, excessive sweating, and higher pressure requirement. This can be frustrating, but there are things you can do to minimize and reverse this. 1. Do not put the mask too tight. CPAP machines can compensate for the small amount of air leak. When we review your CPAP compliance report, we can make sure this air leak is not causing apnea (cessation of respirations) or hypopnea (shallow respirations). 2. Apply talc powder before you put the mask on if you have oily skin. You may already have done this. Baby powder works the best in absorbing excess moisture and sweat. 3. Get tested for allergies especially the indoor allergies like dust, mold, and pets. Skin testing is safe, quick, and painless. 4. Switch to a different interface; try a nasal cannula shown below as it would minimize the contact with skin or a smaller mask from a different manufacturer. My patients with sensitive skin love this Nuance interface. 5. Use a moisturizer cream if your skin is dry. We have also used Elocon, a non-steroidal skin ointment to reduce the inflammation. Work with us through this irritation, but do not ever stop using the CPAP as untreated sleep apnea increases the risk of stroke, heart attack, high blood pressure, diabetes, and drowsy driving death. Starting CPAP Therapy? You Should See a Sleep Specialist – a Study. A recent study published in Journal of Clinical Sleep Medicine looked at various cues that the CPAP users found important from treatment initiation and adherence standpoint. acceptance (commencement) and adherence is suboptimal. In this study by The University of Queensland, Australia, 63 adult patients diagnosed with OSA who had never tried CPAP were asked at 1 month as to why they started and persisted with CPAP use. important in their decision to commence on CPAP. the patient’s OSA were crucial cues to commence on CPAP. The study suggests that a clear communication by the health professional is vital to patients in supporting treatment uptake. 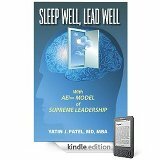 In summary, consulting a sleep physician regarding your sleep apnea treatment will help your CPAP initiation and adherence. Hence, pick up the phone, make an appointment and talk to your sleep physician. An Alert Life is a Full Life.